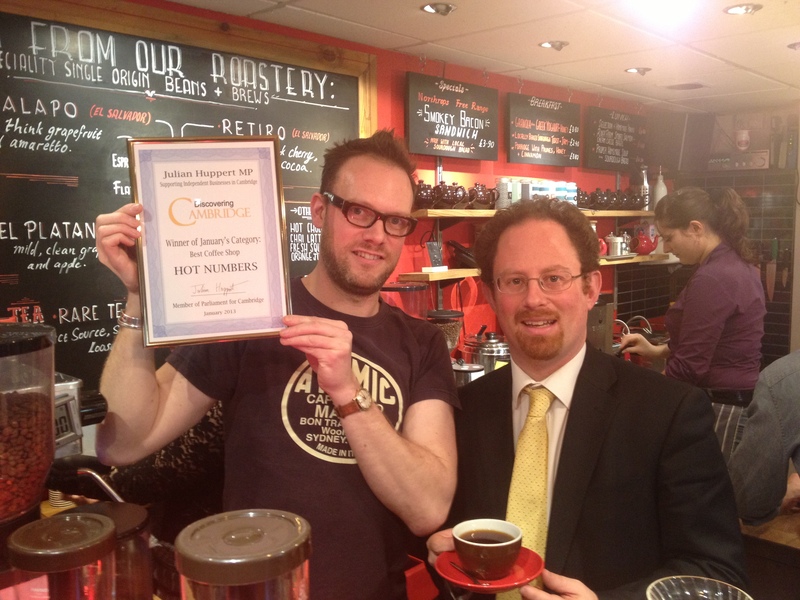 Coffee shop, Hot Numbers has caused a stir in the city winning first place in the monthly heat of MP Julian Huppert’s competition Discovering Cambridge. 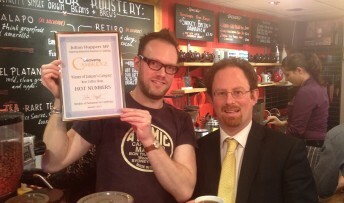 The shop in Gwydir Street was voted the city’s favourite in the coffee shop category of the competition designed to find the best independent businesses. Julian, who will visit Hot Numbers today (Friday, February 1) to congratulate the staff, enjoy a cup of coffee and present their certificate said: “I look forward to meeting everyone at Hot Numbers after the excellent reviews I have received. “My competition has started very well and there has been an excellent response. People across Cambridge clearly value our independent coffee shops and I have received a large number of good reviews about them. Special mentions go to Savino’s, Black Cat, Indigo Café, Stickybeaks and the Cornerstone Café at St Philips Church. This month Julian is inviting nominations for the best independent music and book shop and the category includes shops selling fiction, cds/records, sheet music, textbooks, instruments, antique books etc. Each month Julian will ask for nominations in a different category, a monthly winner will be chosen and an overall winner will be announced at the annual Mill Road Winter Fair in December. I voted for Hot Numbers as the “new boy on the block” but my 2nd vote (in true LibDem style) would certainly have gone to that long established favourite Savinos.